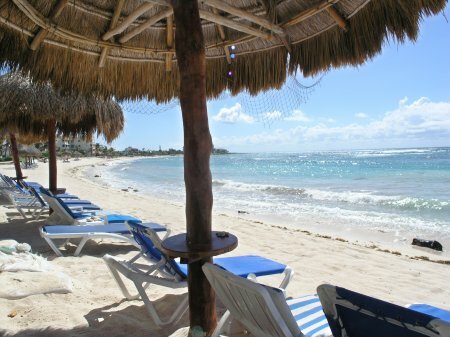 Playa Caribe’s location right on the sandy beach of Half Moon Bay is perfect for sunbathing, snorkeling or just relaxing to the sounds of the Caribbean surf. 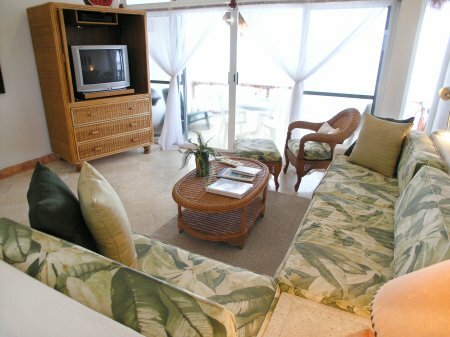 Each condo is air-conditioned and has ceiling fans throughout, providing year round comfort, for your relaxing, tropical getaway. 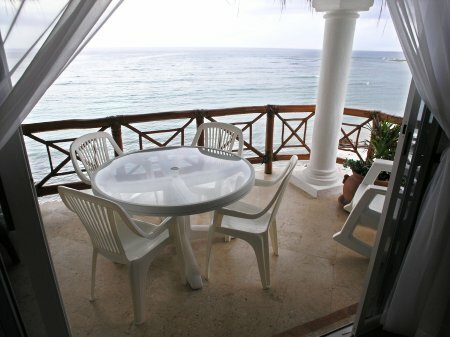 A large wall of glass with glass slider in the living room borders the beautiful seascapes of Half Moon Bay and the Caribbean Sea beyond. 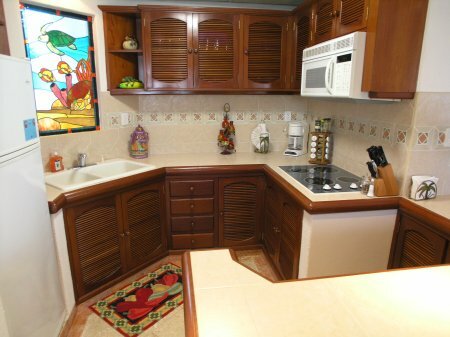 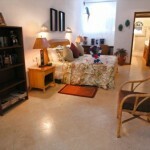 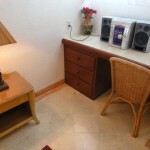 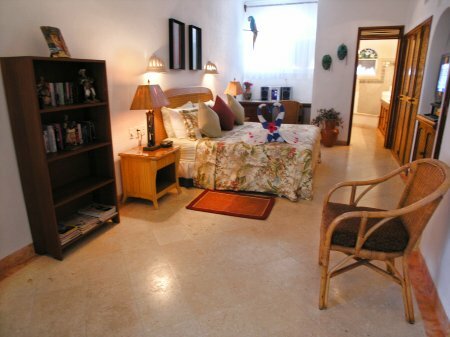 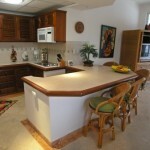 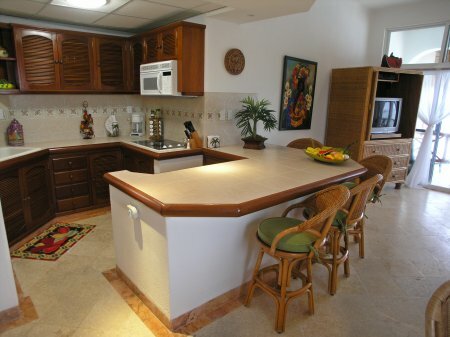 The fully equipped kitchens include a microwave oven, coffee maker, blender, etc. 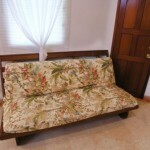 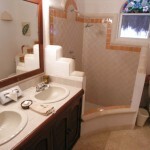 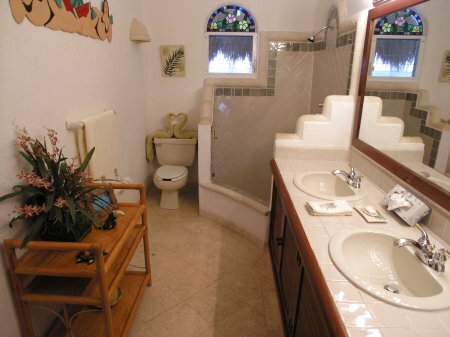 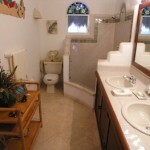 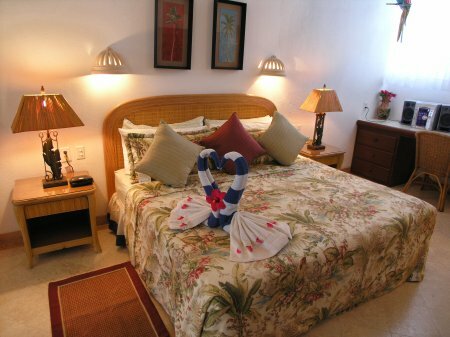 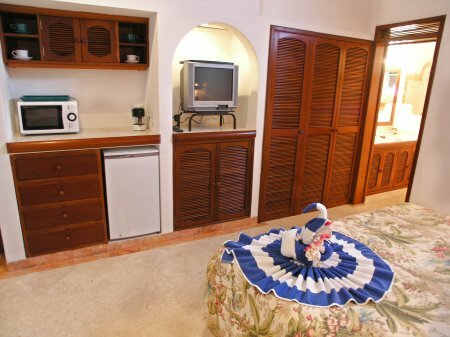 The bedroom suites have private bathrooms with bathtubs and showers. 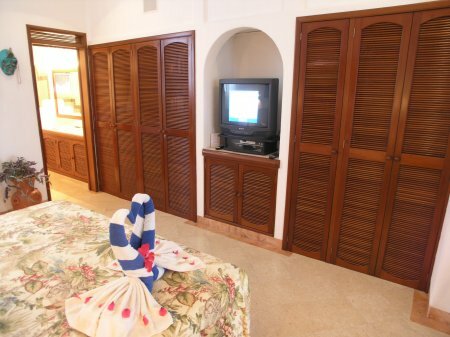 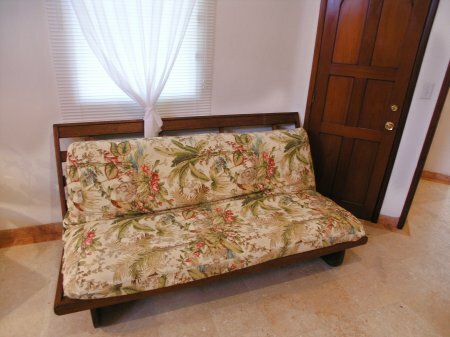 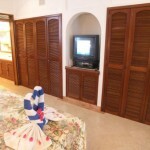 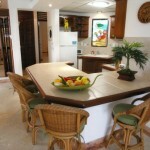 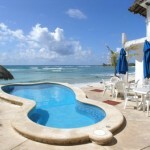 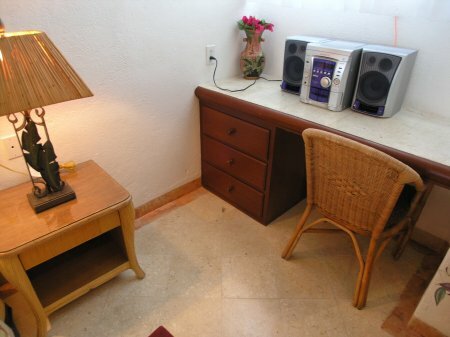 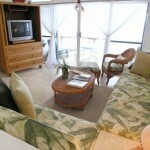 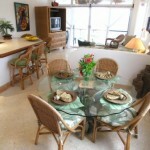 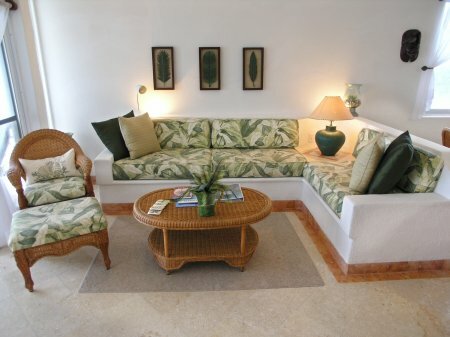 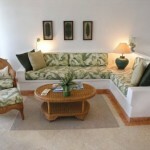 Playa Caribe also has satellite TV with digital CD music channels for your entertainment. 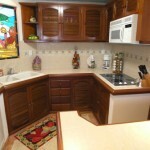 Fresh drinkable tap water for all units is provided by an in-house reverse osmosis water purification system. 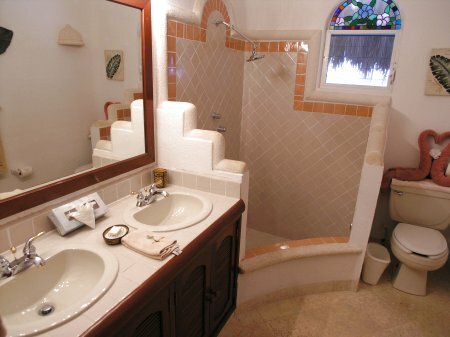 Yes, you CAN drink the water! 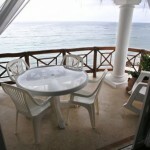 The ground floor condos each have patios; the upper units have balconies and all of them have excellent Caribbean views. 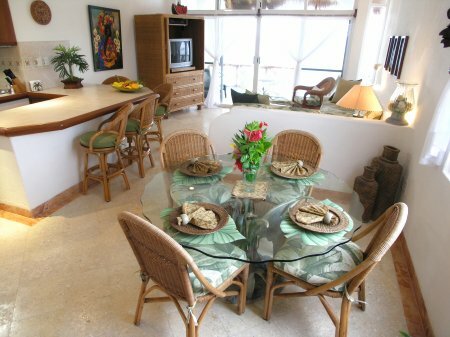 Penthouse units at Playa Caribe provide a spectacular bird’s eye view of Half Moon Bay. 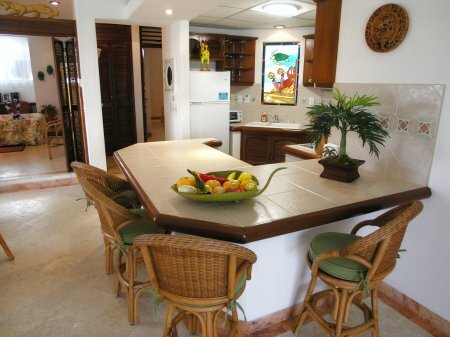 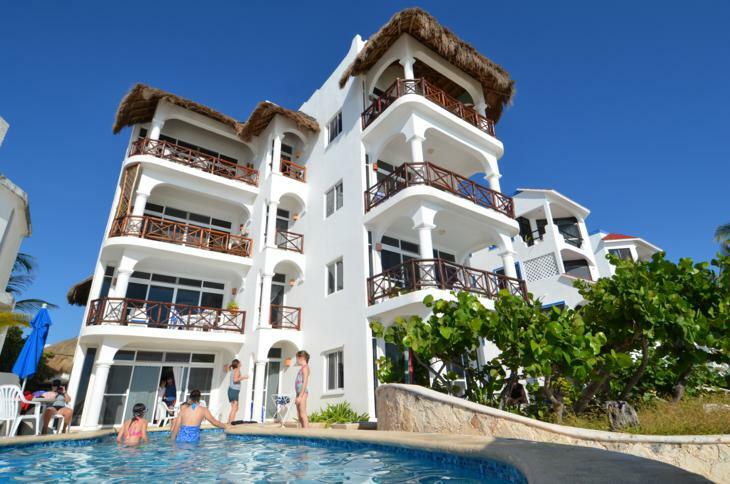 So you can choose what best fits your needs, Playa Caribe also has apartment style, efficiency studios available, on the garden side, that are comparable, yet scaled down in size and price as compared to the full sized beachfront condos. 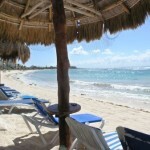 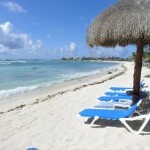 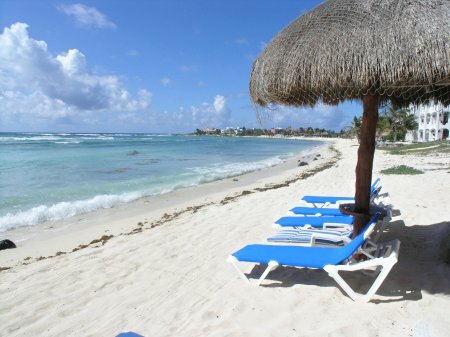 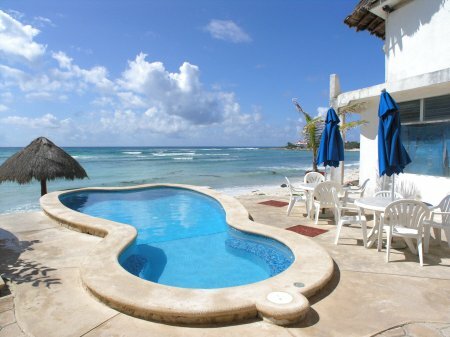 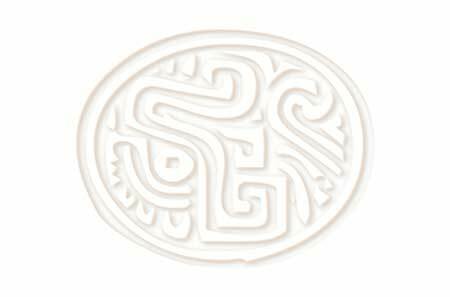 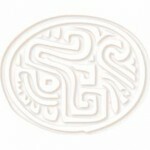 Rates are in USD, per night, and do not include the 19% Mexico tax. 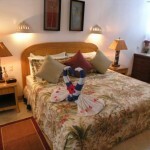 Low Season Special: Stay for 7 nights and pay for 6 nights. 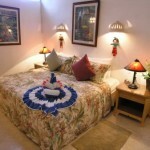 Applies to 7 night stays during August, September and October.